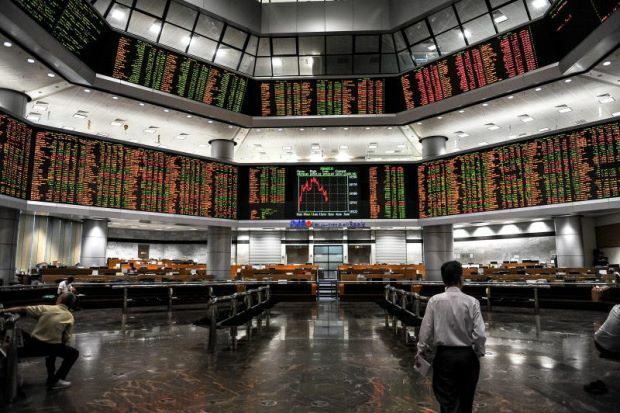 KUALA LUMPUR, Feb 7 2018 : Bursa Malaysia opens higher today lifted by buying interest in heavyweights, contradicting Wall Street’s overnight below par performance, dealers said. At 9.03 am, the benchmark FTSE Bursa Malaysia KLCI (FBM KLCI) rose 5.87 points to 1,689.48 from Monday’s close of 1,683.61. 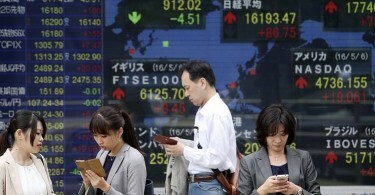 The index opened 4.39 points higher at 1,688. Market breadth was positive with gainers outpacing losers 75 to 42, while 120 counters were unchanged, 1,617 untraded and 24 others suspended. Turnover was at 36.02 million shares worth RM18.89 million. Maybank IB Reseach said, it expected the FBM KLCI to challenge immediate resistance of 1,719 before staging a pullback. “We believe the technical landscape is improving based on higher low structures and a potential breakout,” it said in a note. Meanwhile, Public Investment Bank Bhd in a note said, the FBM KLCI might struggle to edge higher today after signs of fatigue began to show on Wall Street following five-day run of gains for the S&P 500 as market participants digested a mixed batch of earning results. They also found little to cheer about in the US President Donald Trump’s State of the Union speech on Tuesday. On Wall Street, the S&P 500 ended 0.2 per cent lower at 2,731, after rising 3.7 per cent over the previous five sessions, while the Nasdaq Composite fell 0.4 per cent and the Dow Jones Industrial Average eased 0.1 per cent. On the home front, heavyweights, Maybank added one sen to RM9.58, Public Bank improved eight sen to RM24.90, Tenaga rose 12 sen to RM13.06 while Petronas Chemicals and Hong Leong Bank were flat at RM8.45 and RM20.80 respectively. Of the most actives, Bumi Armada, Sinmah Capital and Bina Puri advanced half-a-sen each to 20.5 sen, 18 sen and 18.5 sen respectively, while Seacera and Sapura Energy were flat at 25 sen and 26.5 sen respectively. The FBM Emas Index was 34.54 points better at 11,707.68, the FBMT 100 Index gained 34.95 points to 11,591.38 and the FBM Emas Shariah Index rose 31.23 points to 11,574.39. The FBM Ace Index added 3.68 points to 4,476.86 and the FBM 70 bagged 19.89 points to 13,894.88.